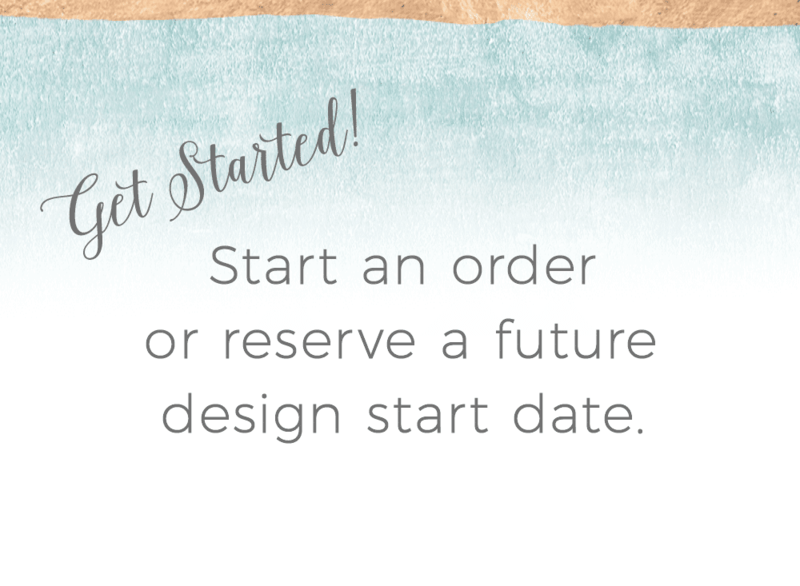 When your wedding color is purple and you want to go all-out PURPLE, it can take a bit of work to find just the right shade. 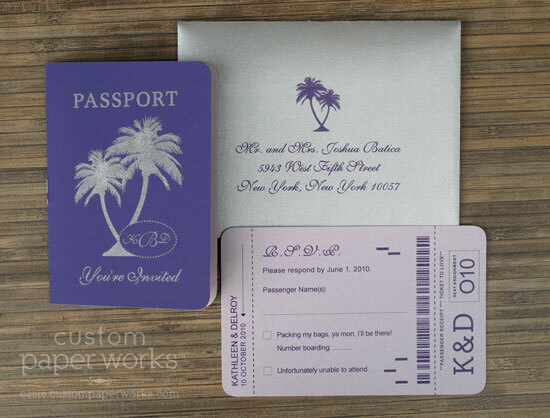 Kathleen first ordered Mini Boarding Pass Save the Dates with silver thermography printed on a dark purple matte paper, and she wanted to follow them up with even PURPLE! 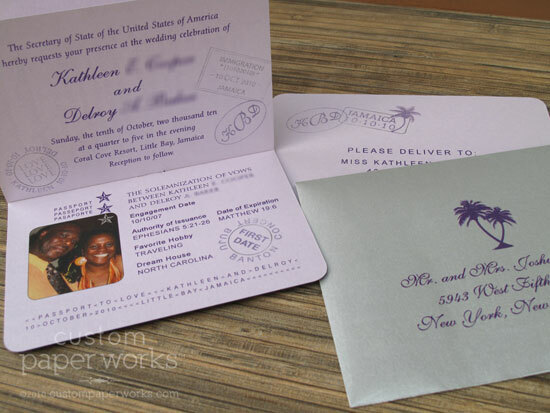 We used silver thermography printing on top of the smoothest, softest purplest paper around and pale lavender inside pages. There’s hardly a surface that’s not purple. 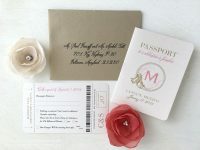 The palm tree emblem on the cover kept the look just a little bit tropical, but overall, it’s an elegant invitation with a traditional design.